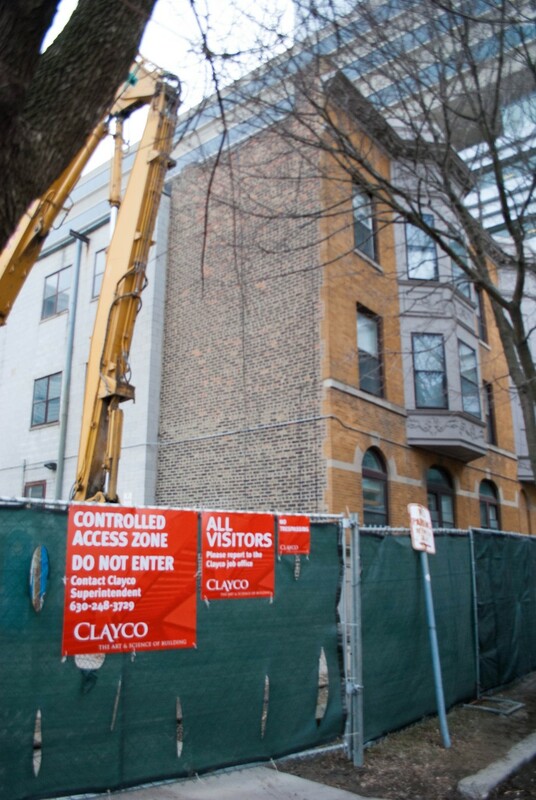 The University of Chicago’s plan to tear down an apartment building where President Ronald Reagan once lived has hit a wall. The University bought the building in 2004, intending to demolish it and use the space to expand the medical and biological research campuses, according to a University statement. Located at 832 East 57th Street, the property stands on the site of a proposed parking structure for the Center for Care and Discovery, the University of Chicago Medical Center’s hospital pavilion set to open in February. However, due to what some are alleging is its historical importance, the demolition has been delayed by the City of Chicago. The Reagan family lived in the building’s first-floor apartment for 10 months between 1914 and 1915, when the future president was three and four years old. On December 27, Heneghan Wrecking & Excavating Co., Inc. applied on the University’s behalf for a permit to demolish the now vacant three-story apartment building. But because the Chicago Historic Resources Survey designated the building as possessing “some architectural feature or historical association” in 1995, the demolition permit was automatically delayed for a maximum of 90 days. Jack Spicer, who sits on the Hyde Park Historical Society board, supports the forced delay and believes the University should consider concerns from community members before tearing down the property. “Respect ought to be paid whether or not you agree with [Reagan] politically,” said Spicer, who has actively spoken out against the demolition. Despite these sentiments, the Commission on Chicago Landmarks had previously halted the preservationists’ cause, denying an appeal to grant the location official landmark status. Any building granted landmark status cannot have any features deemed historically or architecturally significant changed without approval from the City. According to the University statement, administrators are considering placing a dedicatory marker on the site to signify the building’s presidential legacy.